The scope for broadband powerline Communication is considered as a retrofit technology for wide geographical coverage wherever the human habitation exists. So during the last decade, it has drawn an enormous quantity of research work for improving communication performance and this system being standardized all over the world. The broadband power line Communication channel modelling is essential in the design of a reliable communications system. 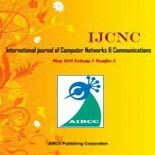 An analysis on the proposed channel model is conducted in this paper; also the paper studied the noises in Broadband powerline Communication network and its mathematical model. The channel Transfer function and Error Performance of Proposed powerline communication System noise is evaluated with various digital modulation techniques Bit error rate (BER) and signal to noise ratio (SNR) curve by using simulation software. The results indicated that the noise analysis is effective for modelling the power line communication channel. Also, we have presented the various studies on the channel performance based on Orthogonal frequency-division Multiplexing (OFDM) systems for an efficient design of a Broadband Powerline Communication (BPLC) system. Channel model, transfer function, noise modelling, Bit error ratio, orthogonal frequency-division multiplexing. This time, broadband communication becomes the part and partial of our day to day life. Due to uneven geographical condition and demographic setup in the country, In remote distance hilly areas, desert areas broadband communication accesses are still a big issue. Where broadband communication lines are available development is faster and wherever it is not available, slower development in these area. The people of these areas feel they are isolated, lagging from the rest of the world. Broadband communication significantly impacts the social and economic growth of the country . Alternatively, electrical power lines are available in most of these areas, so the deployment of a power line for broadband communication is economically feasible technology, as it stops additional expenditures on infrastructure for system channel. The communication technology through the power lines is now reflected as a worthy substitute for the realizing communication network. Broadband powerline communication permits easy fixing with relatively-low access costs because it needs no new wiring variations to allow broadband connection (it can be retrieved from at all outlet) and makes use of present power networks without adding a single new cable. Just plug the device into a socket-outlet and one is instantly linked to the Internet. However, the application of communication over the power transmission line is a quite old practice. From several years’ power utility companies have been applying these networks for data communication purposes, measurements, control, monitoring and regulation of power plant and distribution network operation. Therefore, the low voltage power- line communication turns into a very interesting field of research. The Power line communication technologies can be scattered into two main kinds, Broadband, and Narrowband Communication. Broadband communication over the Powerline uses a usual for high frequency and high-speed, that can have over 100 Mbps speed at the physical layer. Similarly, the Broadband powerline communications technology fall into two main categories; Access and In-house powerline network [1, 5-9]. A channel representation in several kHz to 20 MHz the frequency range was presented in . Access power line technologies are used for sending data over the Low voltage system. Similarly, In-house powerline communication technology transfers data exclusively within the building and extends to all socket outlets within the house [10-12]. Figure (1) shows the structure of the broadband powerline communication network. In fact, the broadband powerline communication channel suffers from attention which is frequency dependent, and it is produced by line conductor and dielectric losses. The characteristics of internal in-house powerline channel transfer function are exciting to model due to the considerable volatility and complication of the networks. Vary significant efforts has been dedicated in the past to define the standard channel model for the broadband communication over powerline as a two wire transmission line [2, 9]. Since the indoor (home) powerline network is quite mature than the outdoor broadband access, so we focus here on the channel modelling for low voltage in the home network, between the socket outlets.